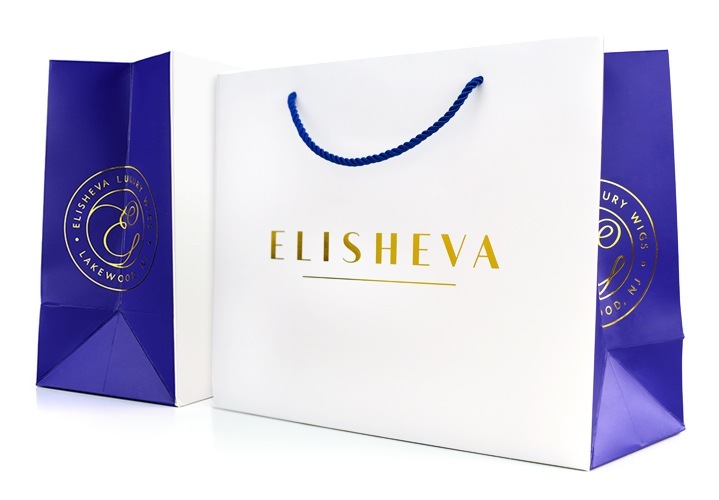 Elisheva Wigs is a unique brand of luxury natural-hair wigs. Most wigs are designed and manufactured by/for wig stylists, but these brands do not have actual wig making expertise. 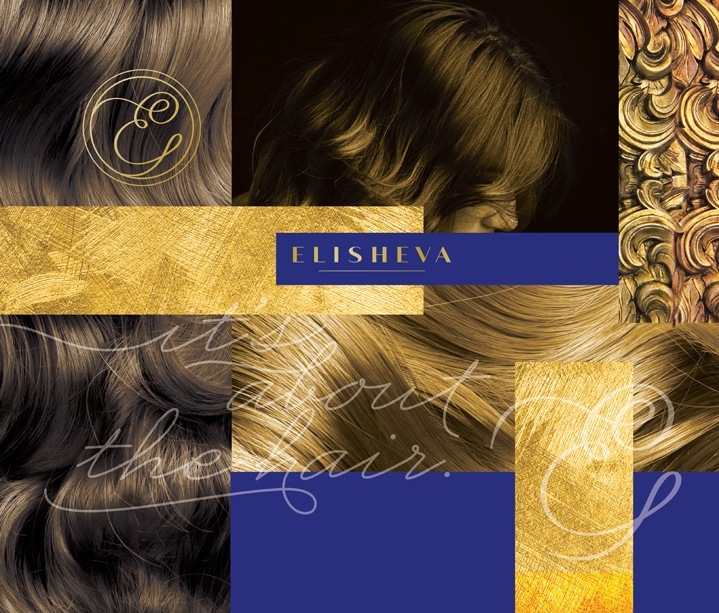 Elisheva is different: their wigs are made by Elisheva Irbauch, who has been making and repairing wigs by hand for over 15 years. 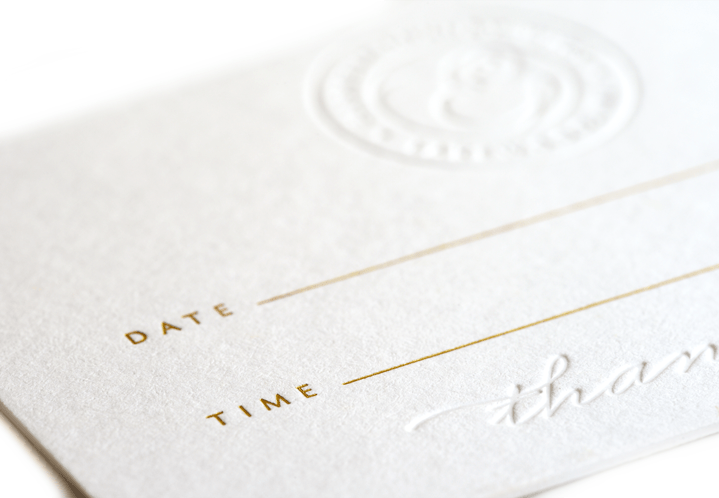 This experience translates into a superior product – from the hair origin, to the craftsmanship and sewing. 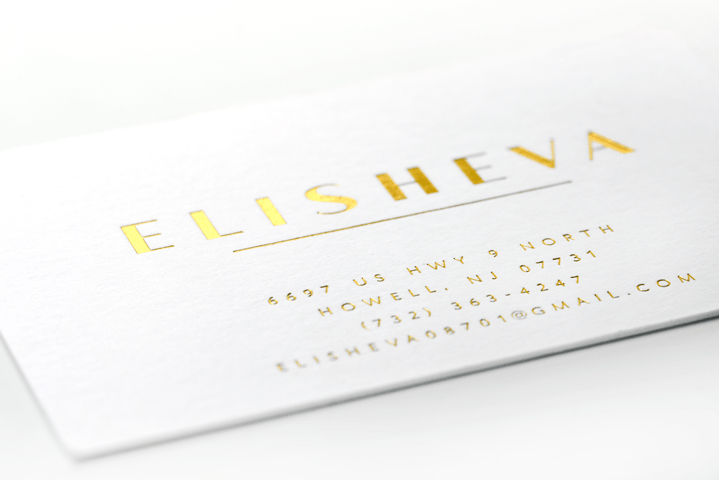 Elisheva Wigs needed to set itself fundamentally above and apart from other high-end wig brands. 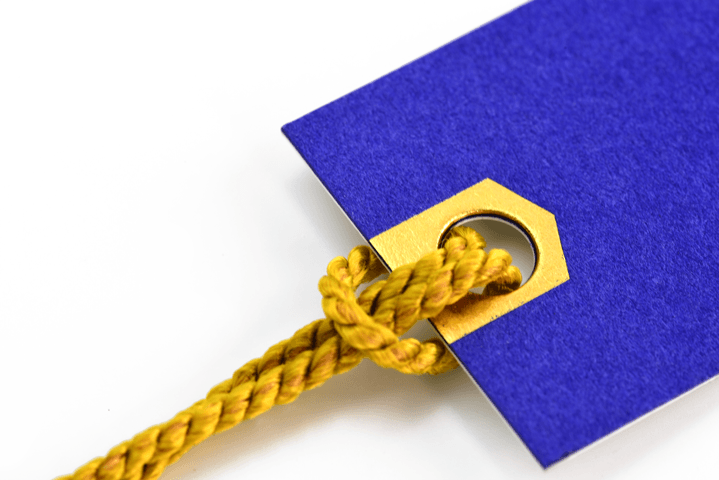 Miller was called upon to develop their retail branding and overall brand and marketing strategy. 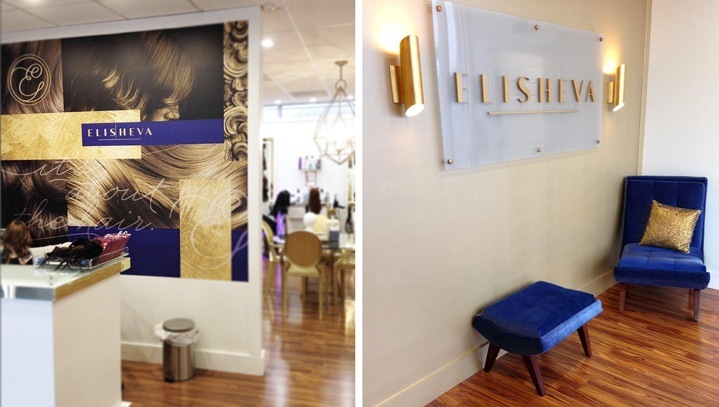 Working with the client, we also brought on interior designer, Chava Dunner, as part of the creative team, to develop a fully redesigned salon – from layout to finishes. 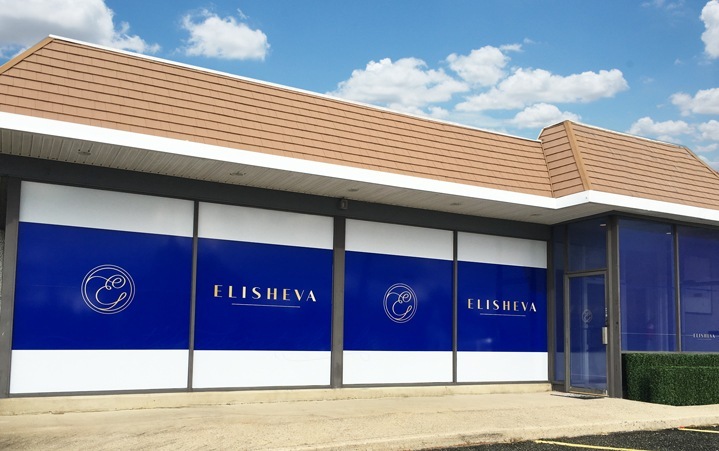 We provided the client with: name development, brand strategy, brand implementation for retail and environmental design for the salon, logo, print assets and exterior/interior store signage. 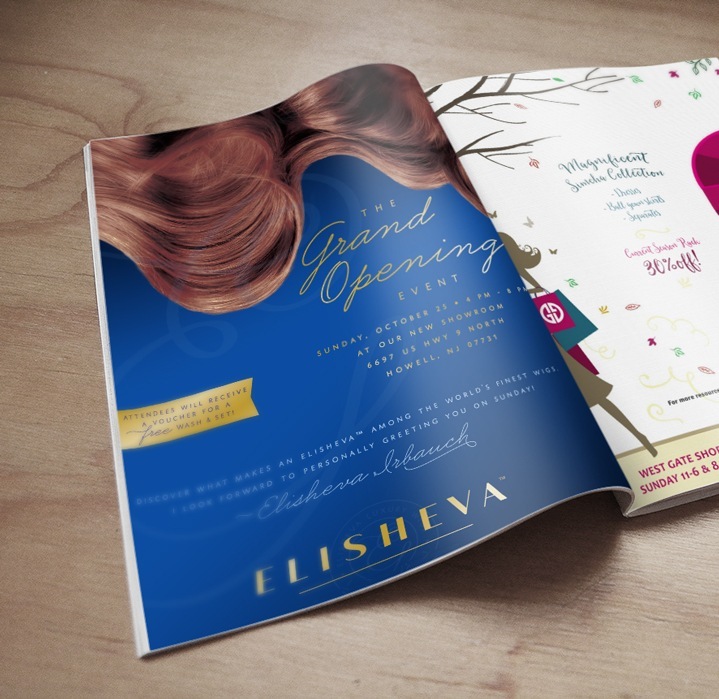 We also designed an ad campaign for the grand opening, and developed a marketing strategy for advertising and social media.